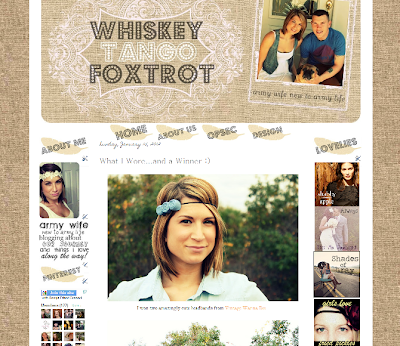 Go to http://whiskeytangofoxtrotdesigns.blogspot.com for my updated portfolio and pricing! I am currently taking orders for people who need to give their blog a makeover! I will work with you to create a layout that you love and walk you through each step in the design process to ensure you are 100% happy with your design. I'd love to help you gain more followers with a layout that will help your blog look more professional looking and enjoyable to read. "She is seriously so amazing, so easy to work with, and created exactly what I was looking for. Email me at Krisgym88@yahooDOTcom to get started!